SAP HANA Tutorial – The one of among SAP HANA advantages is column-store table, this colum-store table is reading data is much faster, and from data storage point of view the columnar storage allowed data simply compress at higher rates. As you know compression is SAP HANA Advantage and important aspect of high performing queries in SAP HANA, when data is compressed, it can be loaded into the CPU cache faster. 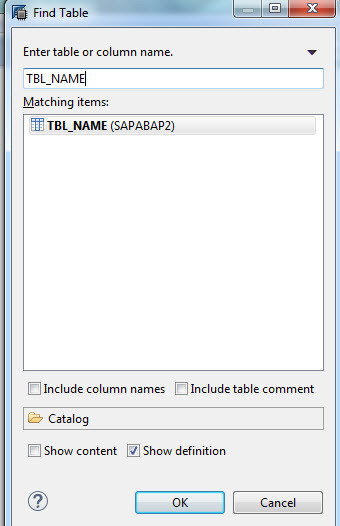 Ok here the step to create columnar table in SAP HANA. Open your SAP HANA Studio and connect to your SAP HANA Database then expand node tree Catalog-YourSchema and then Right-click your mouse to open context menu and click New Table on context menu. On this screen you need to decide between Column Store or Row store and consider how the data is going to be used, for example column store table is the best choice for large table and a lot of read statement or SELECT statement and aggregation operations and column store table is allowed you to maximize column functions because it’s built directly into this column store table. After you select Type of table as Column Store then you need to entered Table Name and Schema, after that you can input fields in this table. Supposed you are familiar because it’s same if you create table in SE11 just little different. In Dimension column you can entered length and after you’ve finished then click Execute on top right to create your table. If you want to check your table Go to Your schema, then right click to Tables node and click Find Table in context menu, then popup screen will show, you can enter your table then click OK to open table. Ok, i hope you can follow our tutorial, Please give any comment and subscribe.